This unique video curriculum has been designed to suit everyone with an interest in creating fine handcrafted jewelry. It is an extremely valuable resource for beginning students, teachers, working jewelers, or any serious hobbyists. The DVD serves a video encyclopedia of basic jewelry making techniques. Divided into color coded chapters, it covers the major elements of joining, cutting, forming and surface techniques. Also included is a chapter that illustrates how to apply the techniques presented by the making of three pieces of jewelry. The comprehensive curriculum closely follows McCreight's best-selling book, The Complete Metalsmith. The author's organization combined with his relaxed manner of teaching provides a wealth of practical technical information in an easy-to-follow style. Educators have termed this tape "a riveting and visually superior course in basic jewelry making... in a box. DVD format. 70 minutes. This introductory video tape covers basic diamond setting procedures, along with an explanation of the necessary tools and their uses. Shown are details of a basic diamond setting procedure that is useful to any type of diamond setting. Close-up viewing, step-by-step demonstrations, features a genuine diamond and 14K gold. VHS format. 53 minutes. This introductory video tape describes several simple folds in fold-forming and serves to introduce the fold forming system, which has been developed steadily since 1980. Rather than forcing form upon the material, forms are derived from the natural plasticity, ductility and elasticity of the metal. Because one does not fight the metal or force form upon it, forming is extremely efficient and very rapid - many radical changes in cross section and surface can be made in 3-5 minutes. Tools are simple: fingers, hands, hammers, mallets, anvils and rolling mills. Complex high relief forms are produced from single sheets of metal often with a single annealing. These shapes resemble chased, constructed and soldered forms. The techniques may be used with most metals. VHS format. Here at last is a complete video "how to" guide for creating quality diffusion welded Mokume Gane. Using tools you probably already own, the author of Mokume Gane A Comprehensive Study takes you through the process he has developed and shows you how to make beautiful Mokume Gane on a small scale. Special emphasis on yellow and white gold Mokume. VHS Format, 138 minutes. This text and video lecture combination gives excellent lessons on how to set up a home or studio photo booth to take professional quality photographs and slides, costing less than $60 to set up (excluding camera and tripod). Building a drop shadow photo booth, films. lighting, miniature spotlighting, composition, drop shadow backgrounds and image creation are covered, PR techniques and sources shared. The ideas and techniques presented in this book and video can save hundreds of dollars in professional fees. 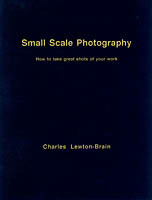 Soft cover, 8.5" x 11", 90 pages. 80 minute VHS format video. This professionally prepared video tape shows the simplicity and versitility of wax-working with Matt tools. 16 minute VHS format video. �2000-2010 Reproduction of all content strictly prohibited without written authorization from Starr Gems Inc.